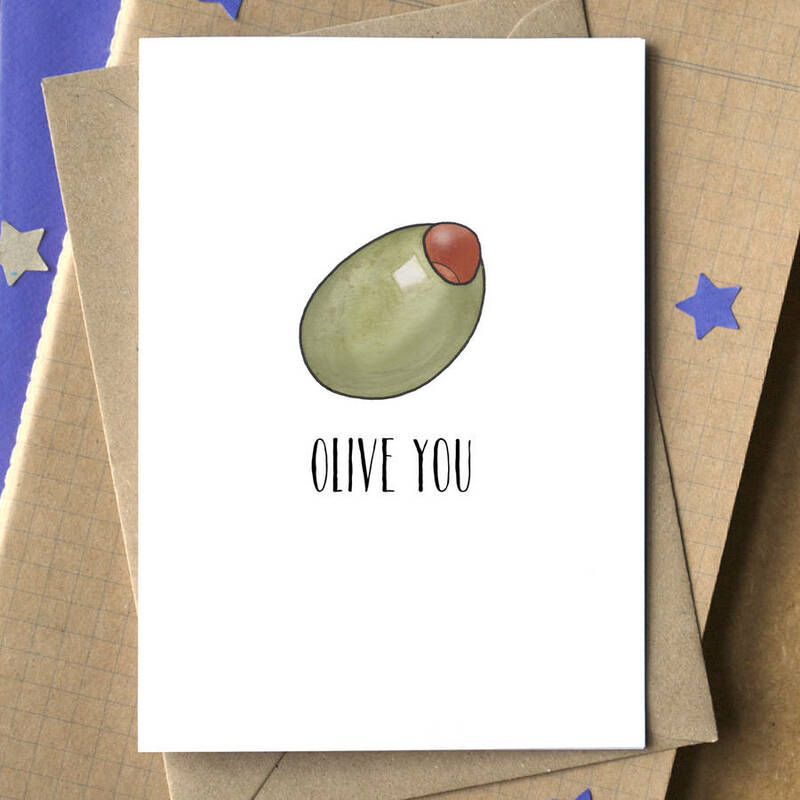 A simple but funny card, suitable to say "I Love You" while raising a smile! An original little card, made using my illustration of a stuffed olive, and the accompanying text "Olive You". This is a lovely card to give to your partner, as a Valentine's or an anniversary card; or even to a friend who needs to know that you care. It's left blank inside for your own personal message. It's a great choice for anyone who likes a good pun (or indeed a stuffed olive). You can choose to have your own personal message on the front of this card - please state the full message you'd like - for example "Olive You Danny". You can now choose to send this card direct to the recipient, which is perfect if you are overseas, in a hurry or want to save on some postage. 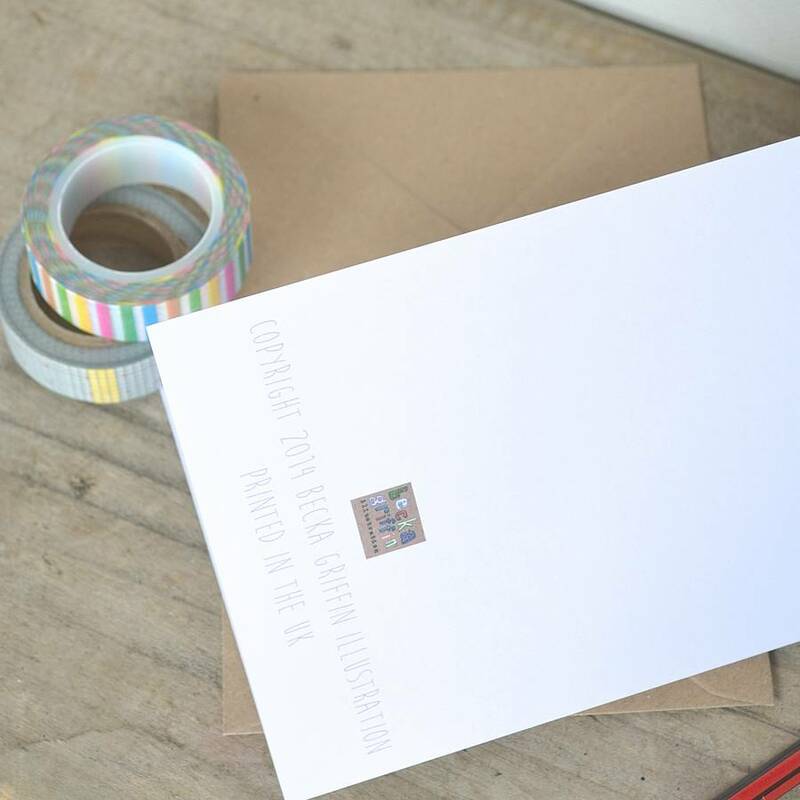 Cards chosen with this option will include the message exactly as specified in the text box provided, and sent in an envelope directly to the contact name and delivery address provided, in line with my normal delivery schedule. 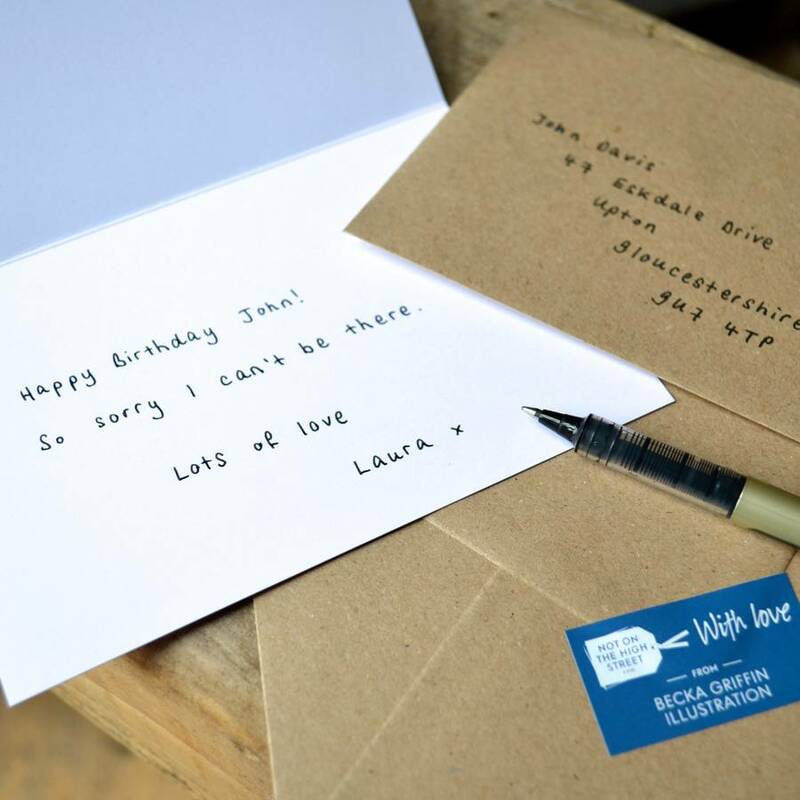 The card is printed on a crisp white textured card, and packaged in cellophane, along with a lovely matt brown recycled envelope. The card measures approximately 10.5 x 15cm; the envelope is slightly larger.